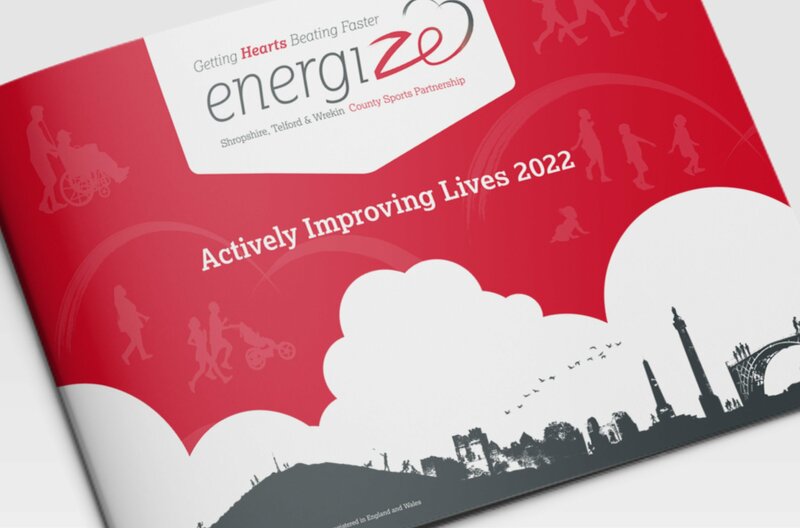 Emerge worked with Energize STW (Shropshire, Telford & Wrekin) to design their main ‘Actively Improving Lives 2017-2022’ strategy document, which sets out their mission, strategic priorities and ways of working with this policy until 2022. 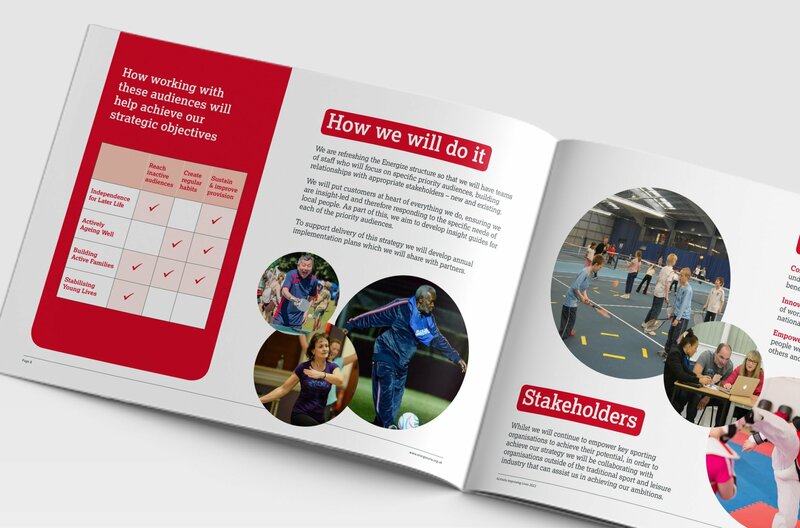 Instead of printed copies, we provided an electronic and interactive PDF version with an enquiry form on the back page to capture details. This PDF can be uploaded to view from a website or sent attached to an email. 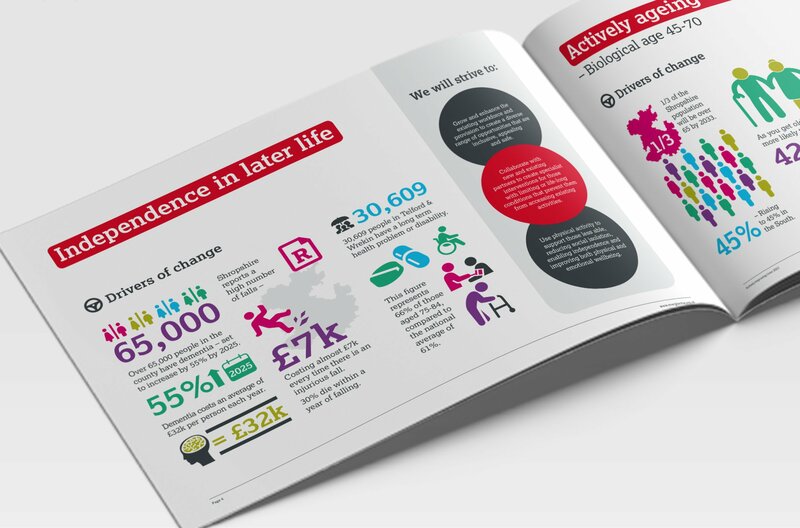 Throughout the document we created a set of infographics based on a selection of their strategies, facts and figures. Infographics are simple to understand and can be fun in nature. Therefore they appeal to a wider audience, which suited this type of document. The infographics can be re-used on other material over various promotional channels. Watch the screenshot video below to view the PDF document in action. 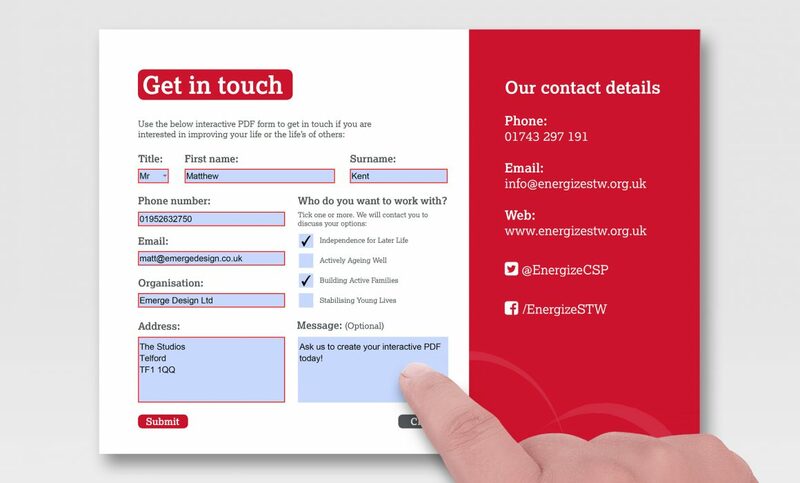 At the end is an example of the interactive PDF form being completed ready to submit back to Energize STW by email.